406 E Line Street is located in Bishop California, in the Downtown area. This home is just a few blocks from Main Street and is in a quiet neighborhood. The great 2 bedroom 1 bathroom home is located on a corner lot in the Downtown Bishop area. This home has beautiful wood accents throughout. The living room has a great woodstove insert with a rock mantle. The bathroom has been updated and the kitchen has newer appliances. Both bedrooms are carpeted and the rest of the house has laminate flooring. The yard space has automatic sprinklers and additional off street parking in the back of the property. There is a ton of room for patio furniture and a BBQ area for those nice summer nights. A two car detached garage with additional workshop space. This home is clean, charming and in a great location! 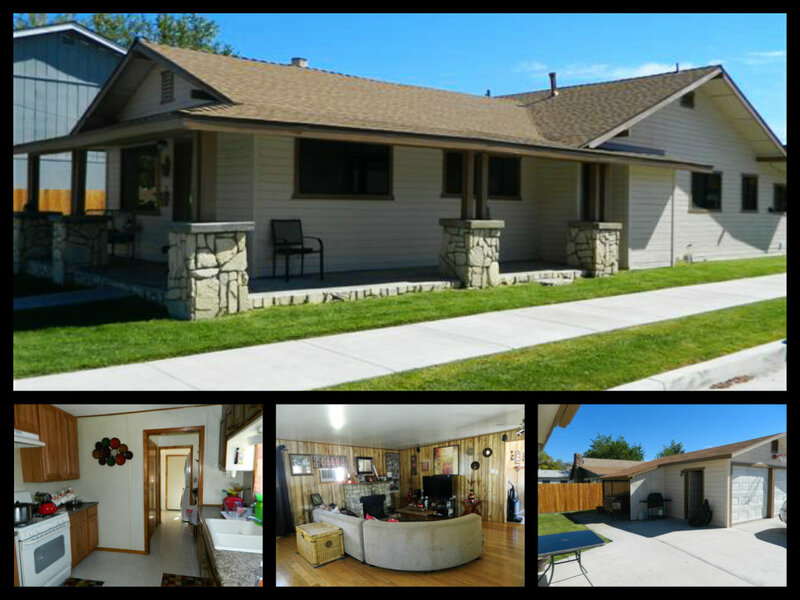 406 E Line Street is in the area of Downtown Bishop that is a family friendly neighborhood. The home is conveniently located within walking distance to local shopping and restaurants located on Main Street, as well as the local schools. For animal lovers, there are walking trails along the canal and the local Dog Park is nearby.